Wanna run? Wanna play? Wanna chase the ball? Oh look . . . Squirrel ! 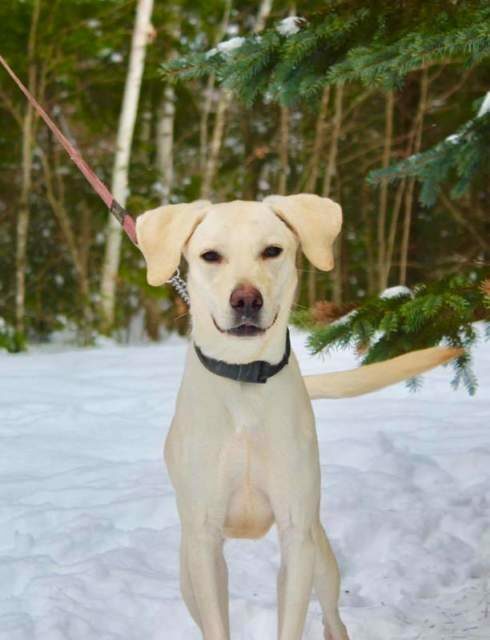 My name is Hunter and I am a year old and I am a lab cross. I’m true to the breed in that I’m bouncy and joyful and love to be around humans. I like other dogs too. I’m house-trained, leash trained, although I could use a bit of work in that area, and love my meals. I’m looking for an active family who loves to be outdoors cause that is just the best! If you are interested in adopting this bouncy guy, please complete the adoption application. Once the application has been received and reviewed, a member of the team will be in touch to set up a meet and greet. Hunter’s adoption fee is $500. and includes his neuter, up to date vaccinations and micro-chip.